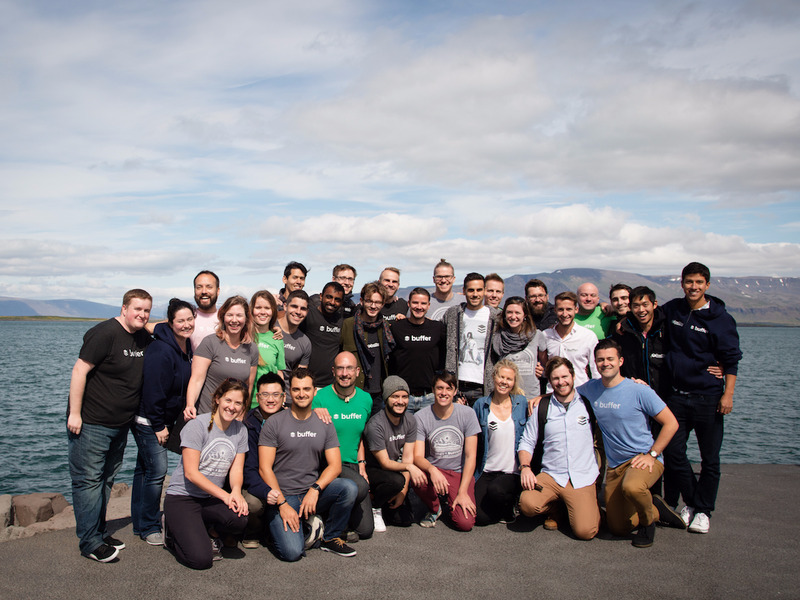 BufferBuffer employees at a team retreat in Reykjavik, Iceland. As a result of changes, the team’s retreat this year to Berlin was canceled. Many startup CEOs try to sweep bad news under the rug. I know this firsthand having been laid off on a random Monday afternoon when the company I worked at abruptly shut down. Yet, on Thursday, Buffer’s CEO Joel Gascoigne transparently laid out what happened to his company and how it got to the place where it needed cut 11% of its staff, or a total of 10 team members. Instead of trying to dodge the issue, Gascoigne’s piece is a good lesson on how to be transparent and acknowledge mistakes he made as a leader. “It’s the result of the biggest mistake I’ve made in my career so far. Even worse, this wasn’t the result of a market change — it was entirely self-inflicted,” the CEO wrote. Gascoigne described what happened to Buffer as moving into a house that it couldn’t afford. The company had been able to previously curb their burn rate, or how much money a startup spends, by boosting revenue through new products. Yet, the company over-hired, growing from 34 to 94 people in a year. There was also a lack of accountability, over-aggressive growth choices, and not enough scrutiny of its financial model until it was too late. Buffer has a history of being transparent — it’s the startup well-known for publishing its employee’s salaries online. Still, Gascoigne acknowledged that they didn’t live up to it in the end since the realisation that the company was spending more money than it was taking in would come as a surprise to most. Both Leo and I have taken a salary cut of 40% until at least the end of the year.Savings: $94,000. Leo and I are committing $100k each in the form of a loan at the lowest possible interest rate, with repayment only when Buffer reaches a healthy financial position.Savings: $200,000. We cut our sponsorship budget. Savings: $75,000. While many startups are facing cost-cutting measures, whether it was a case of not keeping close track of finances or failing to find funding, few have laid it out in such a transparent way to be an example to others. Read Gascoigne’s full breakdown of what it’s like to layoff 10% of your team here.